We are a leading company for offering a high-class grade of White Metal Musical Set to our well-known customers. We offer our customers a wide range of patterns. 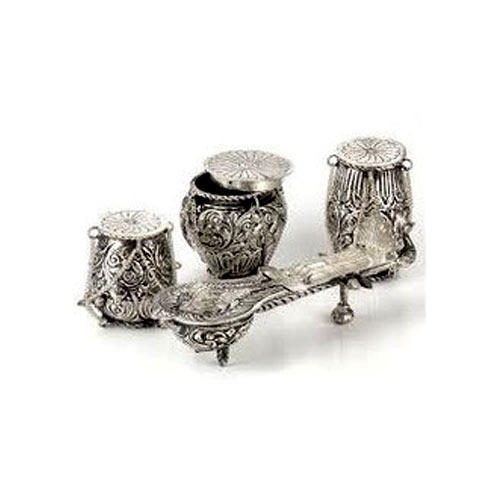 We, “Imperial Handicrafts”, are a well-trusted name in the market established in the year 1997, at Delhi, (Delhi, India). We are the biggest Manufacturer and Wholesaler of handicraft items like Glass Mementos, Sports Trophy, Handicraft Items, God -Goddess Statue, Customized Caps, Diwali gifts, Corporate Gifts, Brass Panchmukhi Ganesha, Artificial Jewellery, White metal products, Jute Products, Leather Items, Silk Tie and Corporates Bag. All these handicraft items are designed by our most creative team of experts. Our experts are qualified and very creative in approach. They design these handicraft items with perfection using best materials and tools. All these handicraft items are available in many colors, sizes, and material options. Our customers can avail this array of handicraft items at affordable rates.